Hi everybody! I’m Jack Lester and these mentally ill are the Grandma Modes. 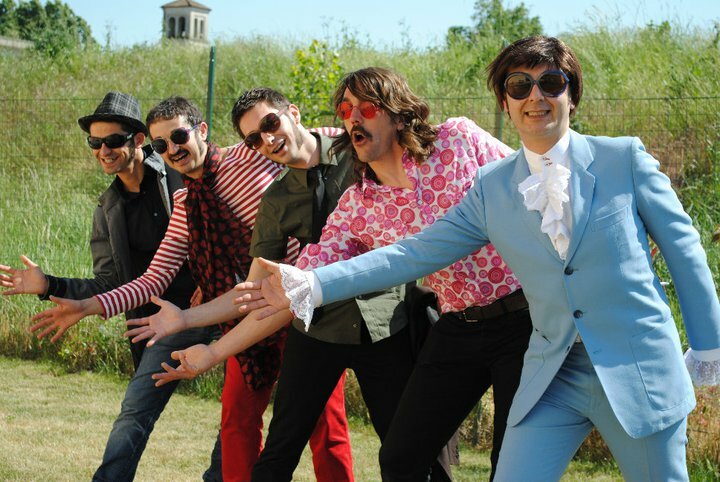 Irriverent and experimenter of a wild and crazy psychedelic sound, they will take take you to a colorful world of marshmallow pies and girls with kaleidoscope eyes. 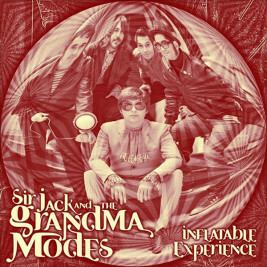 The tradition of English psychedelia, its heritage and its future: ladies and gentlemen let me introduce Sir Jack Lester and the Grandma Modes. Leaving aside the usual mainstays (especially the Beatles), in the Sir Jack’s music you can find also influences by bands like “July”, “Zombies”, “Blossom Toes”, “Dukes of the stratosphere” and “Teardrop Explodes”. Their “Inflatable Experience” has a clear propensity to modernize the tradition in a very personal way. From the multicolor opening song “Lester Bangs”, to the inevitable march “A Holland Spider”, the distorted tale of “Let play the toys” (a kind of Beatles psychedelic journey), from the ballad “Happiness” to the sixties beat of “Wrinkles and Doubts”, there’s something for every taste. Sir Jack and the Grandma Modes capitalize on the lesson of their fathers, revitalizing that sly way of making music, typically English style, maintaining a pop attitude and a good dose of irony.